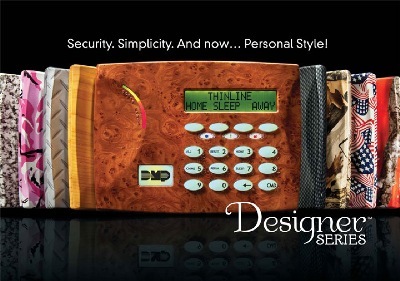 ACA Security has teamed up with an alarm panel manufacturer called DMP(Digital Monitoring Products). All DMP equipment is made and services in the USA. DMP has been manufacturing alarm equipment since 1975 and is a recognized leader in network and cellular alarm communication. Visit their website at http://dmp.com. Click on the link below to watch DMP product videos. For access control, ACA Security uses a product called eMerge manufactured by Linear. This system is a browser managed access system with no servers or client software needed. With its impressive array of powerful features, eMerge is a configurable, integrated security management and access control system. Now you can manage security functions for multiple facilities anywhere with an Internet connection. Offering a variety of video solutions, ACA Security can customize to cater to your company needs. From one camera analog solutions to large scale enterprise IP solutions, ACA will help you design the system you need. Pelco: Pelco Inc., a member of the Schneider Electric family of businesses, is a world leader in the design, development and manufacture of video security systems and equipment ideal for any industry. With a long and prestigious history of offering high-quality products and exceptional customer service, Pelco has become the most sought-after product supplier in the security industry. Pelco produces the most respected offering of discreet camera domes and enclosures, megapixel IP and HD cameras, video matrix systems, next generation digital video recorders, software-only video management solutions, and fiber optic transmission systems for video/data – and much more – all in the never-ending pursuit of achieving 100-percent customer satisfaction. Axis: Founded in 1984, Axis is an IT company offering network video solutions for professional installations. The company is the global market leader in network video, driving the ongoing shift from analog to digital video surveillance. Axis develops and markets innovative network video products i.e. surveillance cameras for installations in schools, in retail, on buses and trains, and for public surveillance. ONSSI: On-Net Surveillance Systems Inc. (OnSSI) offers a comprehensive IP video surveillance control and management software solution, and continues to develop the most advanced IP-based intelligent video surveillance solutions in the market. OnSSI collaborates with leading developers of key technologies, video intelligence and content analytics modules worldwide. OnSSI’s commitment to an open-architecture, non-proprietary solution platform supports virtually any IP camera and/or encoder on the market, allows for the utilization of off the shelf hardware, and facilitates the integration of new technologies.